Rosh Chodesh Sivan - Let's Fall In Love! Everybody knows Shavuot is our "Wedding Day," the day Israel as a Nation was "wed" to HKBH with Mount Sinai itself as our chuppah and the Torah as our Ketubah. Rosh Chodesh Sivan 5774 precedes our "Shabbos Kallah" as a people, as we prepare to receive the Torah all over again next week. Rosh Chodesh Sivan 5774 is Tiferet Sh'B'Malchut, the manifestation of beauty and balance in this world. Venus ("Noga" in Hebrew) has just entered sensual, Venus-ruled Taurus in the 5th House of Romantic Love, and Mars Conjunct Midheaven is out there and visible in a big way, in romantic, idealistic Venus-ruled Libra. Emotional Moon in 7th House of Marriage and Partnerships in Communicative Gemini Squared by Wounded Healer Chrion in 3rd House super-sensitive Pisces makes the words we speak go straight to the heart. 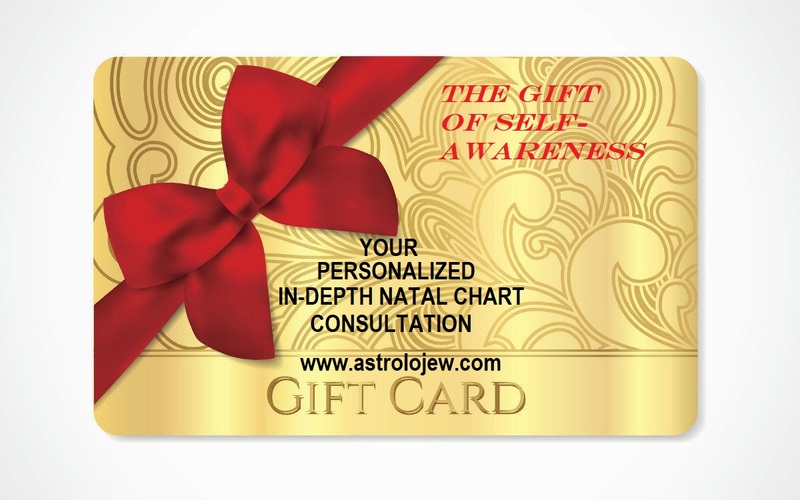 Exalted Jupiter in intuitive Cancer in 9th House of will make religious expression and spiritual connection one. The stage is set for words of love to pierce our hearts, cleanse our souls, and lift us higher. Chodesh Sivan Tov to everyone far and near, may we only hear and speak nourishing, healing, loving words, one to another. As the annual Torah cycle progresses, this week we're back at BaMidbar at last! Of course as an Astrologer, this is my favorite Parsha. 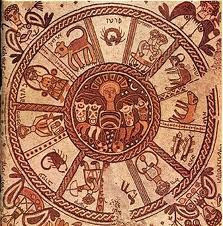 The 12 Tribes arrayed around the Mishkan reflect exactly the 12 Mazalot (Zodiac Signs) mirroring them in the Heavens above. The Tribal Encampment Configuration in the Desert was a powerful energetic vortex designed by HKBH and arrayed in the Heavens even before humankind was created. The same pattern was foreshadowed by the positions the 12 sons of Yacov (Jacob) were instructed by their dying father to take around his coffin as they escorted it from Egypt to Ertez Yisrael, to bury him in the Cave of Machpelah with Yitzchak, Rivka, Avraham and Sarah. The coffin of Yacov was the "Mishkan" in this instance. The energetic vortex was deliberate and powerful. The Cardinal (Initiating) points each had their "Degalim" (flags) - Yehuda/Aries/Nissan to the East, Ephraim/Libra/Tishrei to the West, Reuven/Cancer/Tammuz to the South and Dan/Capricorn/Tevet to the North. Following each Cardinal Tribe/Sign/Month comes the Fixed (Establishing) Issachar/Taurus/Iyar, Shimon/Leo/Av, Menashe/Scorpio/Cheshvan, and Asher/Aquarius/Shvat. Following the Fixed Tribes comes the Mutable (Transforming) Zevulon/Gemini/Sivan, Gad/Virgo/Elul, Benyamin/Sagittarius/Kislev and Naftali/Pisces/Adar. Initiating - Establishing - Transforming. Each Quadrant of the Year works to propel that energy from Equinox to Solstice and back again... like clockwork. COSMIC CLOCKWORK. 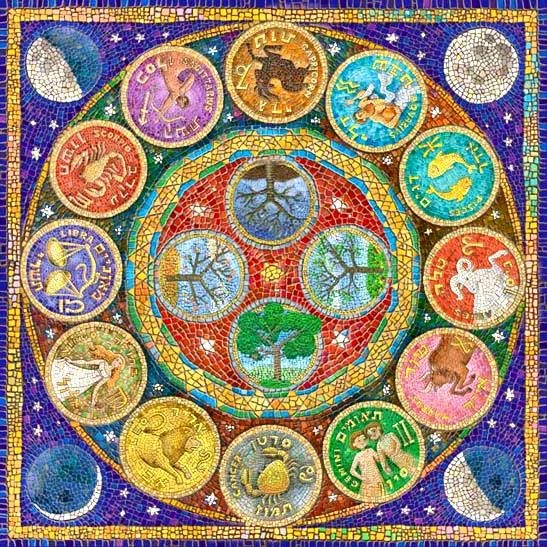 Astrologically, these 12 energies are the "Houses of the Holy" and YOU are the Mishkan - the point in the middle of the cosmic energetic circle, where Initiating, Establishing and Transforming energies do their cosmic dance around you in the Heavens, mirroring and reflecting above in symbol and archetype that which is below.